It was exciting to attend the RT Booklovers’ Convention here in Atlanta last week with over 25 of my fellow audiobook narrators from across the country. Several members of the group organized and participated on educational panels about audiobooks, and we all contributed for a booth in the Bazaar. 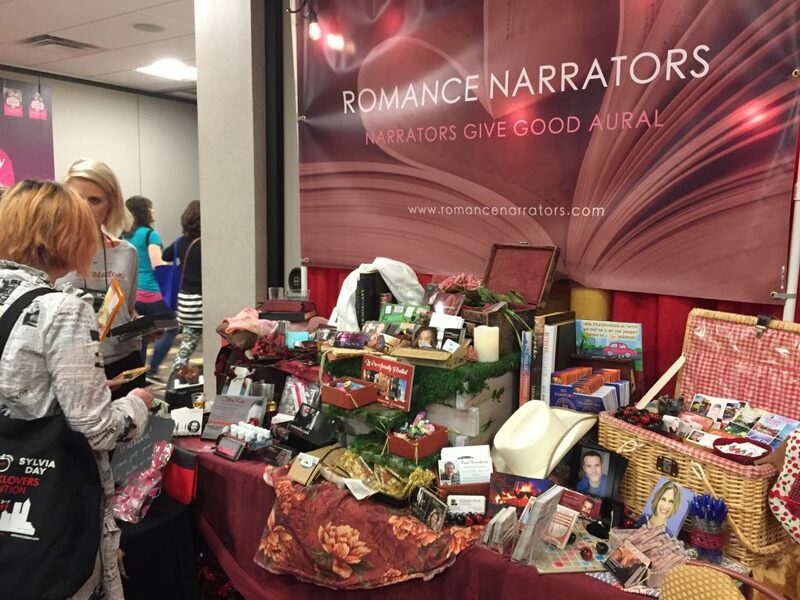 The Romance Narrators’ RT Bazaar booth was feast for the eyes and a smorgasbord of swag! In talking with people who came to our booth, I noticed 3 reasons authors shy away from audiobooks. 1) Authors aren’t sure about consumer demand for audiobooks. One person who never listens to audiobooks asked me the average price for one. When I said it might be $15-$20, the astonished reply was, “for a BOOK?” I explained that many options exist that enable listeners to acquire audiobooks at cheaper prices, including free ones at the library. More importantly, an audiobook isn’t just a book. It is its own performance art. You could look at it this way: you could spend $15 for a movie ticket that gets you about two hours of entertainment. You don’t own that entertainment and can’t enjoy it again without paying the additional money. With an audiobook, though, you could pay the same or less amount of money for 6, 10, or more hours of entertainment that you’d be able to revisit as often as you like. Audiobooks are a $1.2 billion industry that has experienced double digit growth for the past 2 years. That trend isn’t likely to stop anytime soon. Both production and consumer costs have come down dramatically as technology has streamlined the process. 2) Authors aren’t already audiobook fans. A few authors told me that they don’t have a commute and therefore didn’t have time to listen. I know I sure appreciated hearing a good book last week while I sat in abysmal Atlanta traffic going to and from the convention. While audiobooks are popular companions during commutes, you don’t need to travel to listen to an audiobook. I listen every day while walking my dog. I also listen on the treadmill and while swimming. Audiobooks complement almost any form of exercise! I’ve also been known to listen while eating my lunch. You could listen while you’re in the shower. In fact, there’s no end to the variety of things you could do and hear a great book at the same time. Once you start listening, not only will you get through more books each year, but you may also start planning your own audiobook. You’ll find that writing for audio will make you a better writer. 3) Audiobook production is too complicated. Some authors were very interested in creating audiobooks but don’t have the time to learn how to do it. The good news is that you don’t have to spend time and energy to figure it out! The narrators who attended the RT Convention have our own studios and are experienced in working with authors to create independent audiobooks. We know how to get an audiobook done through ACX and other distributors, and we would be more than happy to assist authors with the steps. You’ll find samples and contact information for over 30 professional narrators on the boutique site RomanceNarrators.com. Don’t worry if you don’t write romance. Most narrators work in a variety of genres. I hope I’ve gotten you thinking differently about audiobooks and that you’ll soon contact me or one of my fellow narrators about starting production. Hi Karen; I wonder if you’d mind if I quote you, again? Let me know. Thanks! Ken & Meg in New Hampshire. Hi, Ken! 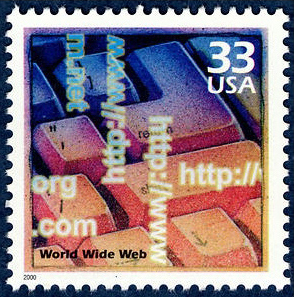 Feel free to quote me with attribution and/or link to my articles any time! Thanks for asking and for your continued interest in my blog.